510 WHEEL DISC – SWECO PRODUCTS, INC. The SWECO 510 series wheel type offset disc harrow is specifically designed for use in orchards, although it is an excellent all purpose tool as well. 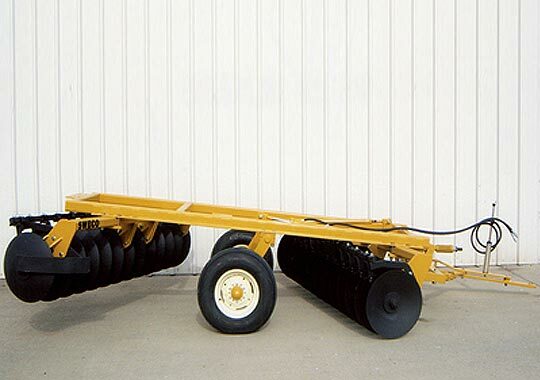 It is available in sizes of 8’-3” to 13’-6” widths to be used with low to medium horsepower tractors. The 510 SWECO disc delivers 115 to 130 working pounds per blade. This is accomplished with heavy frame construction, all steel spacer spools at 9-1/8” spacing, and 24×3/16” smooth disc blades as standard equipment.